Our 160cm Gold Pine Christmas Garland is the perfect decorative touch for your doorways, windows or hall table this holiday season. The Gold Pine Garland is already decorated with gold bows and balls, but you can add your individual touches with some red or green baubles, ribbons, bows, beads, and pic and spray items. 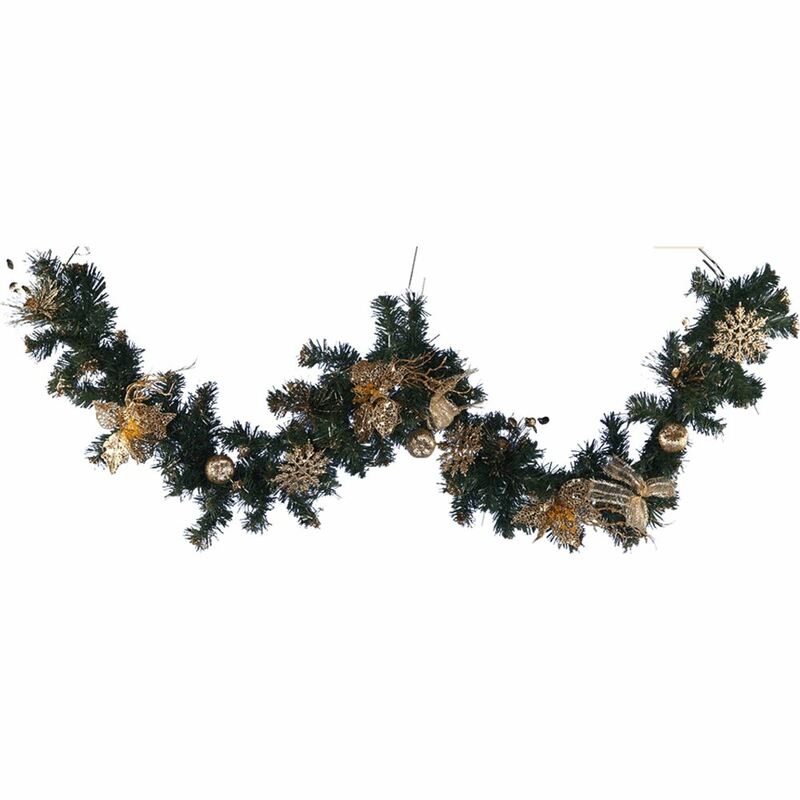 The Gold Pine Garland can be packed away for use year after year and you’ll find yourself creating unique styles each year because it is such a versatile decorative item. Garlands can be used as centrepieces on the Christmas table and also go well over the mantel. The Garland has come a long way from its beginnings, but it continues to be one of the most popular traditional Christmas decorations.